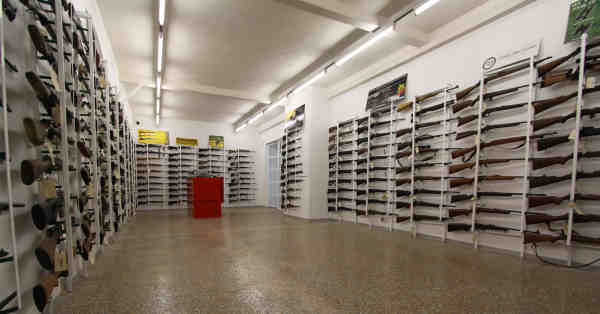 Welcome to the Owen Guns Showrooms. 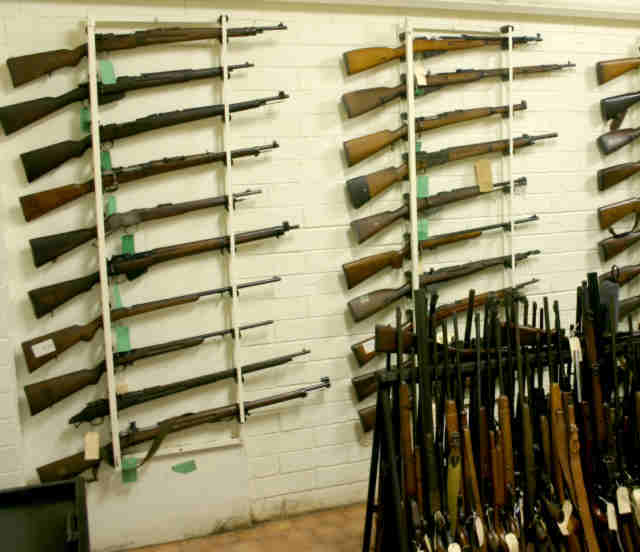 The photos below show some of the gun rooms within the Owen Guns shop. 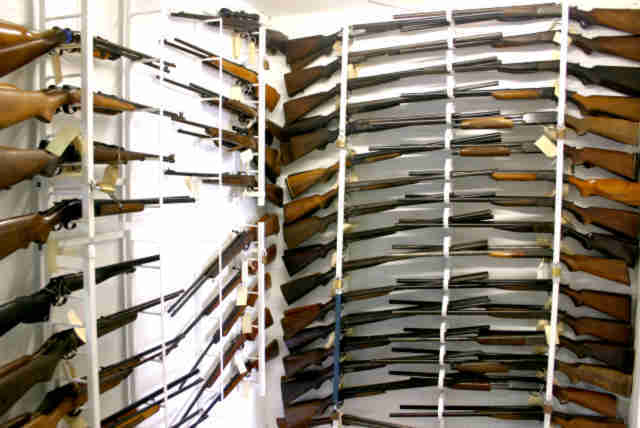 Within its walls we DISPLAY 450 (plus) FIREARMS plus a room of older firearms holding 1300. This how it looks on the outside so you know what to look for when you drive to it on the Bruce Highway. We are just one building back from the Bruce Highway, on Mc Mahon Road. Easily visible from the corner of Mc Mahon Rd and the Bruce Highway. 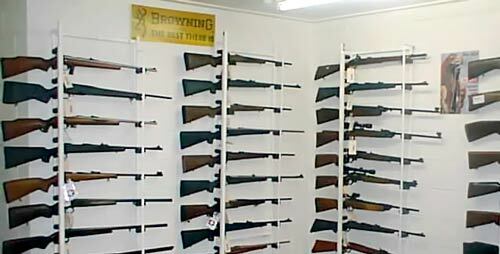 There is a lot happening at Owen Guns, we have our largest firearm showroom fully open. 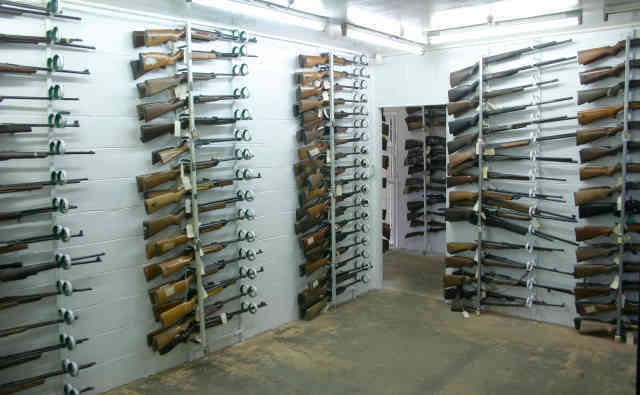 Over twice the size of our the older Gun Room. 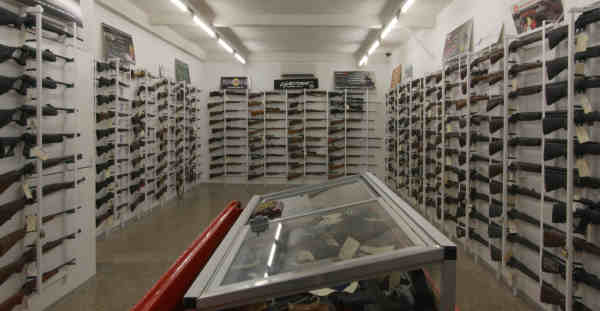 Displaying an extra 300 firearms, Owen Guns at Gympie have our own Gun Shows permanently so please call in to see us. 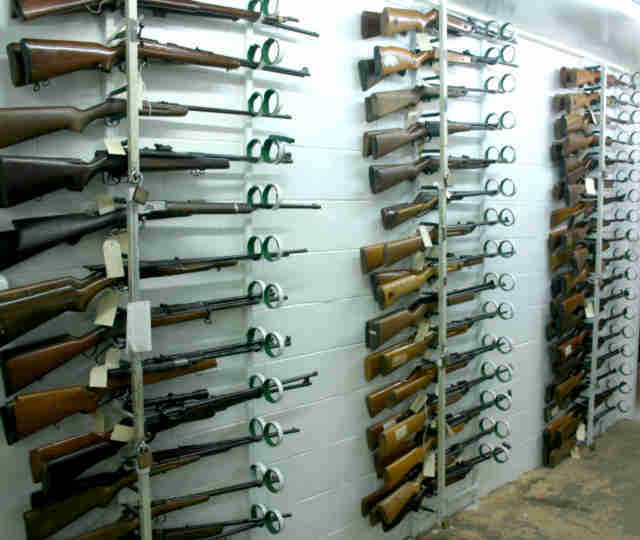 PHONE 07 54825070 for the best price and availability of STEYR MANNLICHER, Sako, Tikka, Mossberg, Stoeger, Thompson-Centre, S &W, Colt, Sabatti, Browning, Remington, Marlin, Zastava, CZ, or any other brand you can think of. PHONE 07 54825070. 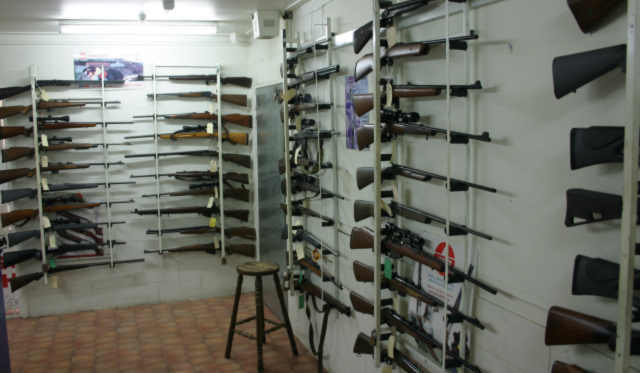 Owen Guns Rifle Display Rooms. 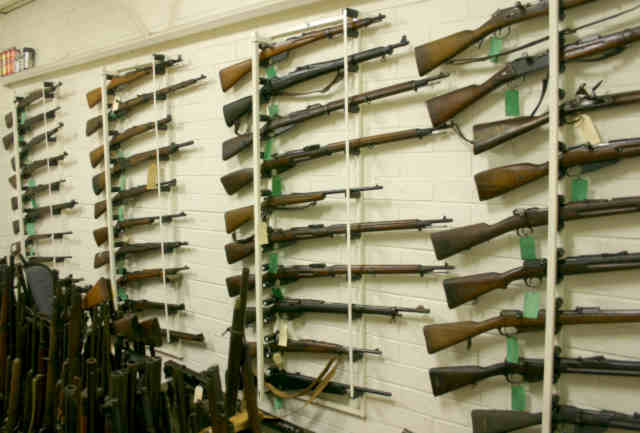 Last week a customer suggested to me that we put a photograph of every firearm we had on the net with a price, this would save him asking for particular firearms. I tried to explain that it would be a major undertaking and before we had completed half of it, most of them would be sold. He did not understand the magnitude of the problem. 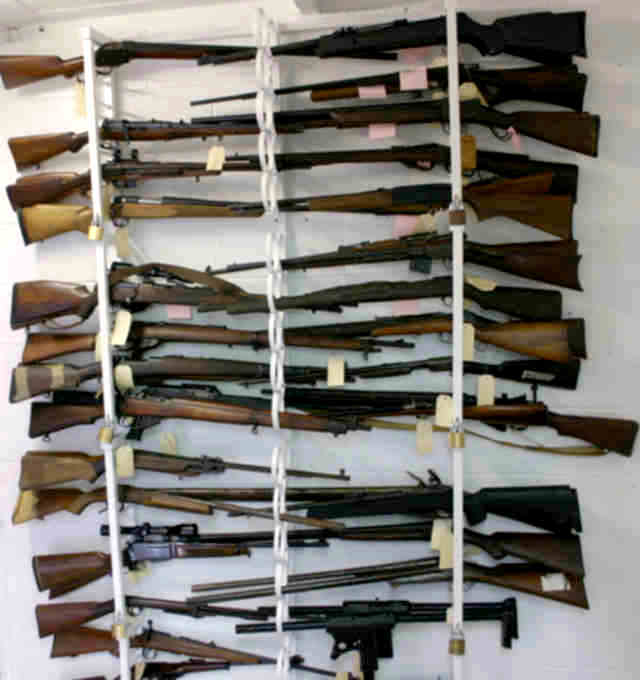 Of course having the guns are no problem, but taking the photographs and getting them on to the internet are very time consuming. 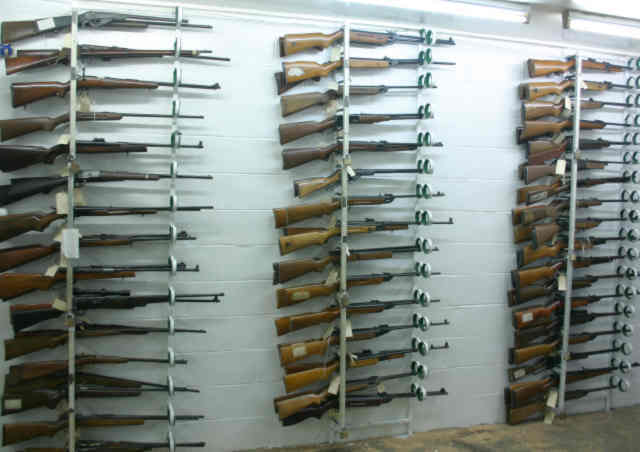 The following photographs are only some of the firearms we have in stock. 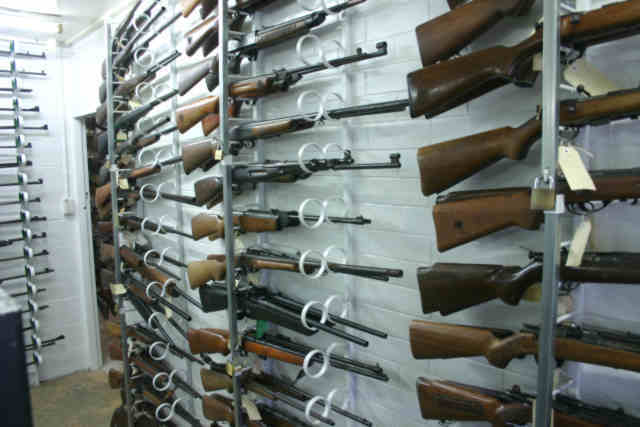 Please contact us if your looking for any particular type of firearm, if we have not got it we may be able to source one for you.